The socialist wasteland of Venezuela, which used to be a beautiful country, but which now sees President Nicolas Maduro encouraging its citizens to learn to breed and eat rabbits for food, whilst a woman was recently pictured in the street cooking up a domestic cat. Erm.. Not very nice at all. 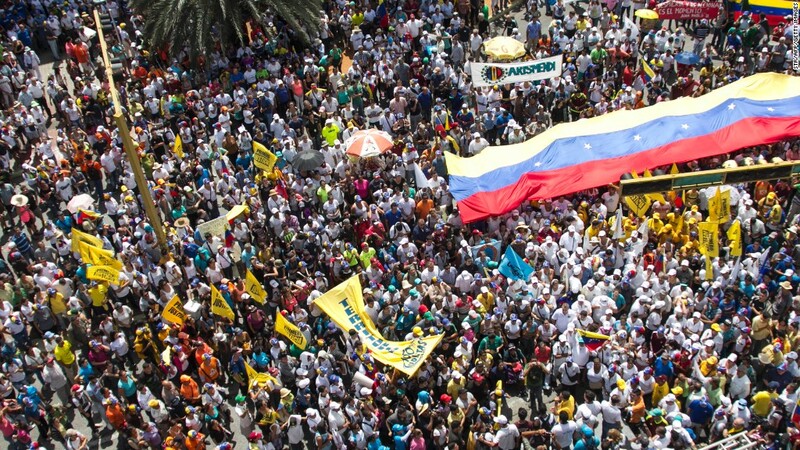 Venezuela has now long served as the most recent evidence of what socialism does, which should heed major warning signs for even deluded left wingers that support Labour in the United Kingdom or the Socialist Party in Sweden. Shout out’s to Germany too, where migrants get free handouts and domestic tensions arise due to EU meddling with the world’s elite on part of the NWO agenda to cause dissension within Europe. Where does socialism lead? Has it ever worked? Let’s use Venezuela as a prime example. In Venezuela, aside from eating rabbits and cats, (since they have no money for food or medicine), President Maduro insists that expired Venezuelan passports are still valid to travel with for a further two years… Oh really, are they? And why would that be? Well, Venezuela have run out of passport paper and ink, since they can’t afford to stock up on those anymore either, so all in all, how many nations do you think will let Venezuelan people travel on expired passports? Hmmm, that really remains to be seen, given their economic situation as well, since who could even still travel at all, with little to money in their bank? Basically, if a Venezuelan even had loads of money, only the uber rich could do so, with the fluctuation on the Venezuelan bolivar rising up as high as $1 = 10.13 VEF in the current exchange rate, as of today. Here you can find out more about Venezuela’s socialist crisis, so whilst left wingers across the world insist on outsourcing production of manufacturing to solely benefit corrupt socialist rulers and their greed, as well as bring in tons of migrants to countries in Europe that can only sustain them for so long, what sort of benefits do a socialist government provide a nation in the long-term? The inflation rate is at about 700%, whilst Venezuela makes 95% of its foreign income from oil. Venezuela has now suffered a high rise in crime, including murders, robberies and bloody protests/riots against the government. The city of Caracas is becoming a barren wasteland of apocalyptic proportions, with no sign of relief. So, what should we think of left-wing socialism? As you know here at Brainstain, we never thought or will think much of it, because we know its solely a path towards disaster, so let that be known to all socialists of the world, since it only benefits the corrupt politicians in the long-term and nobody else. Venezuelan’s now also believe that Maduro is solely trying to keep his people locked inside the country, since the passport materials have also been sacrificed long ago. Prayers go out to the people of Venezuela. Socialism is a lie, and Venezuela is the proof in the pudding.